Check with family and friends to recommend an experienced optometrist. 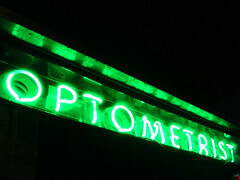 Check with your insurance company for a list of optometrists covered under your plan. The optometric association can be contacted for a list of eye doctors. You can call the hospital for details if they have an optometry department. Ask other health professionals including your family doctor, dentist, pharmacist, or nurse. This post will describe what an Optometrist does beyond the optical of eyeglasses and contact lenses. Optometrists detect, diagnose, and treat vision conditions and eye diseases. Procedures to remove foreign bodies such as metal from the surface of the eye or under the eyelid. Pre-operative and post-operative care for Lasik and cataract eye surgery. Cataracts, diabetic eye complications, glaucoma, macular degeneration, and retinal tears and detachments can all be detected through routine eye examinations by an optometrist. Conjunctivitis, dry eye, glaucoma, macular degeneration, and uveitis are just some of the eye diseases that are routinely managed by optometrists.